Home of Stitch & Zip Needlepoint Designs and Kits, Hand-Painted Christmas Stockings and Popular Canvas Designs, Needlepoint Pillows. Alice Peterson Company was founded in 1974 and is now owned by Cathy Rapoza, a 23-year member of the needlepoint industry. Whether your passion is cross stitch, needlepoint, crewel, embroidery or quilting we have a frame to fit your project. Articles: Lap and table top stands, kits, individual frames, scroll rods, extended bars, side bars, accessories, knobs, lighting and magnifyers, scissors and cutting tools. is the home of Z-Bar, Z-Bar Mini, Beck Designs, Julia Snyder, Mickey Snyder, Merino Wool I & II, Merino Silk I & II, Baby Alpaca, Flixen, Fine Kid, Fine Kid Silk, Beading Thread, Seed Beads (11 & 15), Drop Beads (2.8 & 3.4), Hex, Cube Beads, Needle Pullers, Madeira, Zephy and Benz Threads, Birthday Candles, Super Snips, & more! Our goal is to bring innovative designs to the needle arts which are an inspiration to the hand and the eye. A wide selection of custom needle point designs by artist Anne Cram. Over 35 years of needlepoint designs including wild animals, pets, homes, children, floral upholstery, rugs, landscapes and seascapes. A creative design and publishing studio focused on fresh original patterns for cross stitch, punch needle, quilting and sewing that are fun and easy to make. Needles and notions for needlework, quilting, sewing, and knitting, as well as hand-painted needlepoint canvases and self-finishing leather accessories. Brands include Colonial, John James, John James of England, Lee's Needle Arts, Mary Arden, Richard Hemming, Roxanne, and S. Thomas & Sons. 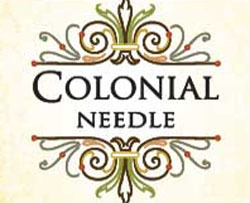 The Colonial Needle Company sells the finest needles, notions, threads and needlepoint supplies for sewing, quilting, felting, crafting and needlework enthusiasts of all skill levels. Floss, Charles Craft Fabrics and Needlework Supplies. Needlework threads and kits, DMC Yarns, accessories, fabrics, craft. Embroidery, Knitting, Cross Stitch, Crafting, Needlepoint, Punch Needle, Crochet, Tatting. Hand-dyed silk, cotton, and perle thread for needlework. Distributor for 24 European and Canadian designers including Chatelaine Designs, Heirloom Embroideries, Long Dog Samplers and Vetty Creations, Fibbers, Silk Perle and Ribbons, Designer Silk Packs, Scissors. Manufacturers of quality wooden tools, The Lap-Stitch Family of frames and more for the fine fibre artist since 1984. Custom-designed and manufactured in our Wisconsin studio. Exclusive distributor of Soy Luster threads. Distributor for bongo, By Mindy, and Elements. EdMar Co. Manufactures the highest quality rayon embroidery thread available on the market today. Our thread is ideal for any kind needlework; from cross-stitch to crewel, and dimensional to needlepoint, the brilliant colors and remarkable texture will bring all your projects alive. Tapestry wool. 363 colours of superior wool in both traditional and modern shades. All colours come in both 60-yard hanks and 10-yard cards. 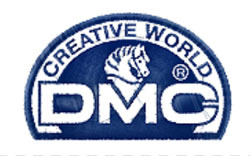 Manufacturing and Distributing fine needlework items for more than 55 years. We have Hoops, Frames, Stands, Stretcher Bars, Scroll Frames and accessories for all your stitching needs. Quilting Hoops Stitchery Frames & Floor Stands. Scroll Frames. Handi Clamp Frames. Stretcher Bars. Embroidery Hoops. Needlework Accessories. An exciting, often quirky, always different and fun, wholesale company with an eclectic mix of needlework accessories, unique laying tools, linen needlework kits, needlepoint kits, beaded peyote kits and more! Pat Cherry and Peggy Tipton, two friends with a love of needlework and beads, joined together to form this small company. Purveyors of "gently" overdyed 6-strand cotton embroidery floss called "SAMPLER THREADS™". Our threads are exciting and fun to stitch with, and give your needlework a faded, antiqued look. Your needlework projects stitched with "SAMPLER THREADS™" will never be a carbon copy of everyone else's because each skein is unique in itself. Gloriana Threads offers several lines of hand-dyed threads and ribbons for fine embroidery: Silk, Silk Ribbons, Silk Chenille, Princess Perle, Princess Perle Petite, Luminescence, and Lorikeet. Designer of the popular "Hooked On" cross stitch series. We sell a full line of tatting supplies for needle and shuttle tatters. 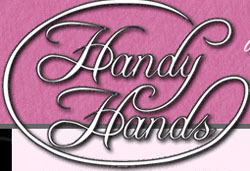 In business since 1990, Handy Hands carries books, doilies and hankies, (free) patterns and inspirations for the both amateur and professionals. Wholesale distributors of counted cross-stitch books and leaflets, Crescent Colours hand dyed threads, Dazor magnification lamps, fabrics, punchneedle designs and more! They are also the exclusive distributor of the Limited Edition kits by Mirabilia Designs. Your One Stop Shop for Great Cross Stitch Patterns, Knitting Patterns, Crochet patterns, and Plastic Canvas Patterns. Extensive assortment of craft patterns from designers from all over the world - all guaranteed to ship within one business day of your order. Ink Circles brings to you a unique collection of original graphic samplers and Celtic designs. Ink Circles is also proud to distribute the designs of Alessandra Adelaide Needleworks (of Italy, Seba Designs (blackwork designs from Turkey), and Needlemania.